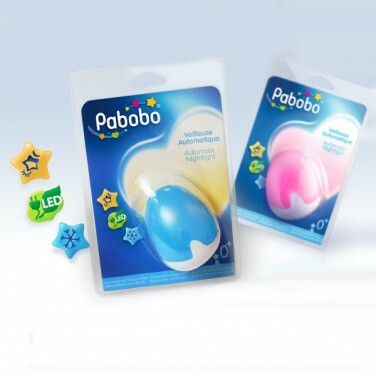 Create a soft comforting glow in your child’s room at bedtime with the Pabobo LED Sensor Nightlight. Ideal for baby and toddler bedrooms, the light will sense when the room goes dark and automatically light up. 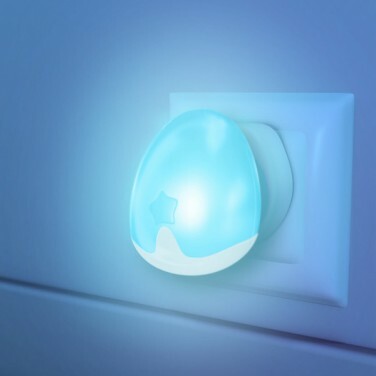 The Pabobo LED Sensor Nightlight is a plug in nightlight that’ll sense when the room becomes dark and turn on automatically to emit a soft ambient glow into your child’s bedroom. 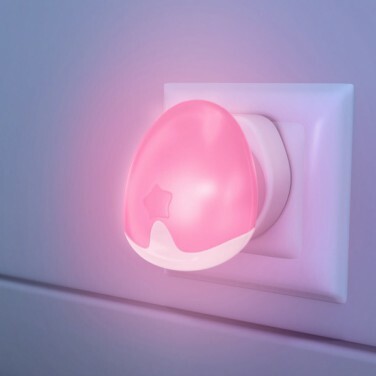 A soft light comfort blanket for your child, the automatic sensor night light will emit a soft blue or pink glow as your little one drifts off to sleep. Don’t worry if your little one wakes in the night; because it’s light sensitive, the Pabobo Nightlight will remain lit all night until it senses daylight, which means no waking up frightened in a dark room. Available in pink or blue, the Pabobo nightlight is an excellent value night light for kids of all ages.